Dr. Heinemann graduated the medical school from the University of Connecticut School of Medicine and completed two residency programs: one at the Memorial Sloan-Kettering Cancer Center and the other at the Yale-New Haven Children's Center. He is specialized in Pathology and board certified in Anatomic Pathology & Clinical Pathology. 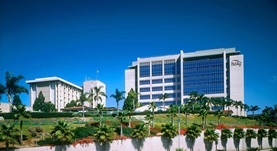 Dr. Heinemann has been in practice for more than 20 years and is affiliated with the Hoag Memorial Hospital Presbyterian. During his career, he has also contributed to 1 publication of medical interest. Dr. Francis Heinemann has contributed to 1 publications. CDCP1 cleavage is necessary for homodimerization-induced migration of triple-negative breast cancer. Wright, H. J.,Arulmoli, J.,Motazedi, M.,Nelson, L. J.,Heinemann, F. S.,Flanagan, L. A.,Razorenova, O. V.; Oncogene. 2016 Feb 16.